The bloody conflict marked 1,000 days earlier this month since the Saudi-led military intervention in March, 2015. The gloomy anniversary spells further sufferings for civilian population and offers little hope for the future, as the war-ravaged country “has passed the tipping into a rapid decline from crisis to deepening catastrophe,” the UN Children’s Fund (UNICEF), World Health Organization (WHO) and World Food Program (WFP) said in a joint statement Friday. 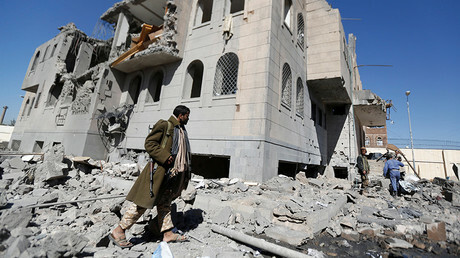 Since the battle between Yemeni rebels and the forces of ousted President Abd Rabbu Mansour, backed by Saudi Arabia first erupted, “the worst humanitarian crisis in the world” has spread across the entire country, the statement says. The UN estimated that by the end of 2017, some 75 percent of the Yemeni population would require humanitarian assistance, including some 11.3 children who rely exclusively on aid to survive. Severe shortages of fresh water, food and lack of access to medical care, as well as an almost absent sanitation infrastructure have led to some 167,000 children suffering severe malnutrition, and rapidly induced outbreaks of cholera and diphtheria. Some 60 percent of the Yemeni population struggle to find food to eat, and a further 16 million lack access to water and sanitation. Acute fuel shortages has sent the prices of basic commodities into orbit. And against a backdrop of a scarcity of fresh water and blocked humanitarian access, the price of water has skyrocketed an astronomical 600 percent, which essentially makes it a luxury for the majority of the poverty-stricken Yemenis. 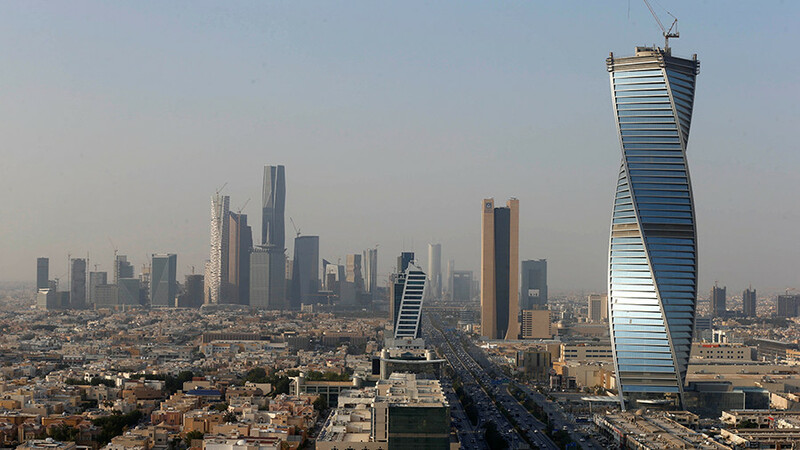 Diesel prices have doubled due to the restrictions on imports imposed by Saudi Arabia. The situation on the ground does not inspire any optimism as the violence rages on, with “children and families yet again being killed in attacks and bombardments,” the three UN organizations wrote. “This horrific tally of the conflict’s devastation reflects only what we know. In reality, the situation is likely to be worse.” They added that it’s impossible to assess the scope of the catastrophe, particularly in the most heavily affected areas, as aid workers could not get there. 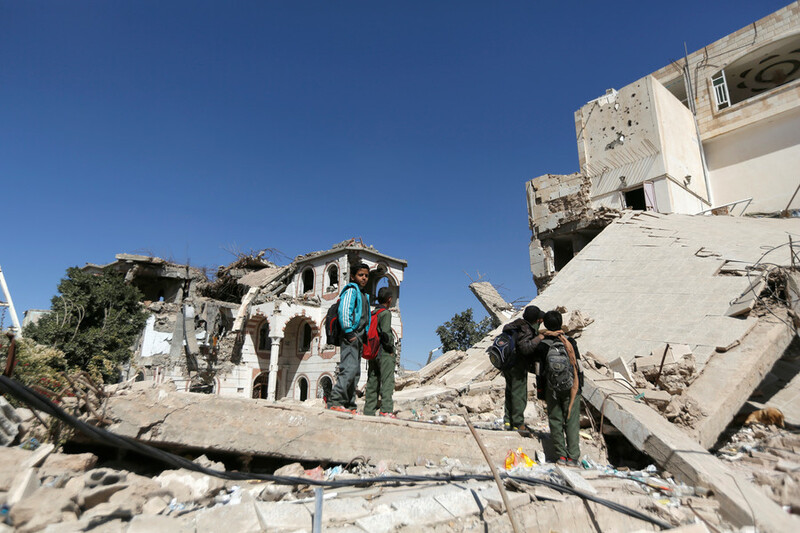 While the Yemeni population is enduring immense hardships as a result of over two and a half years of bombings and airstrikes coupled with a Saudi-imposed blockade, children are the most vulnerable victims of the crisis. In a recent interview with RT, Dr. Meritxell Relano, the UNICEF representative in Yemen, estimated that more than 5,000 children were killed or maimed since the violence engulfed the country. About 2,000 have been dragged into the conflict as child soldiers. 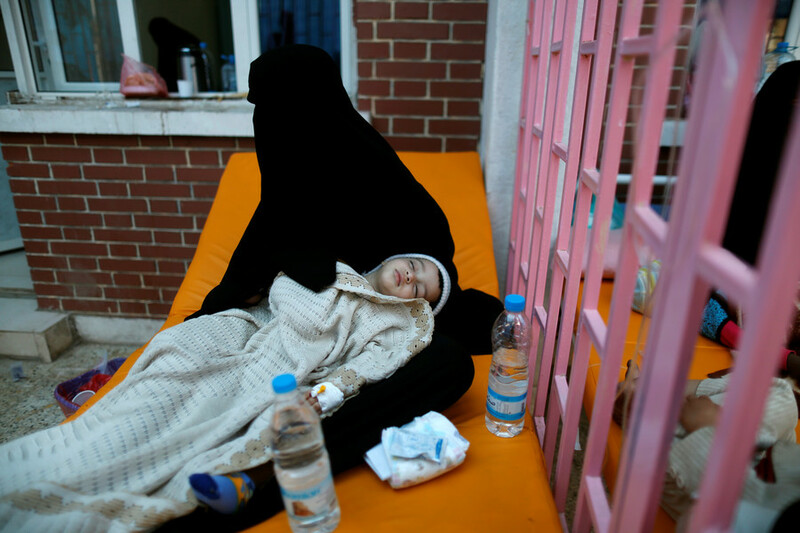 Despite all UN efforts, the only way to alleviate the plight of the Yemeni people trapped in the conflict is to find a political solution, she argued, warning, that more children could die in the coming year if a settlement is not reached. UN calls to stop the bloodshed have so far been ignored. 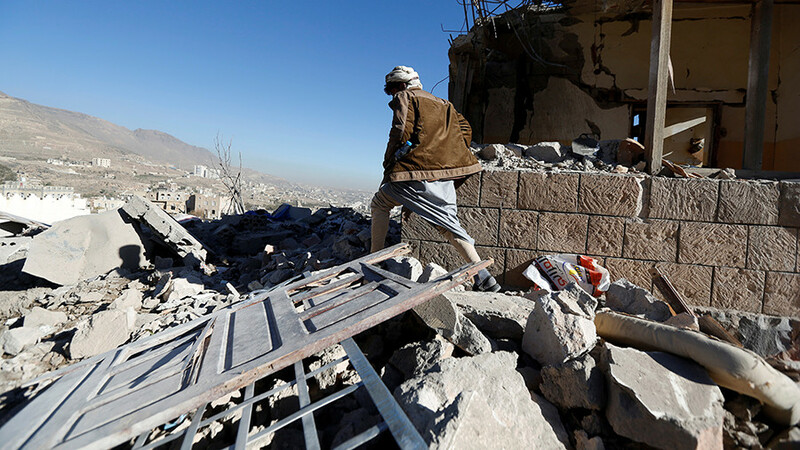 The Saudi-led coalition of nine states, that has been regularly accused of indiscriminate bombings, blasted a recent UN report on civilian casualties attributed to its airstrikes and accused the organization of bias toward the rebels. 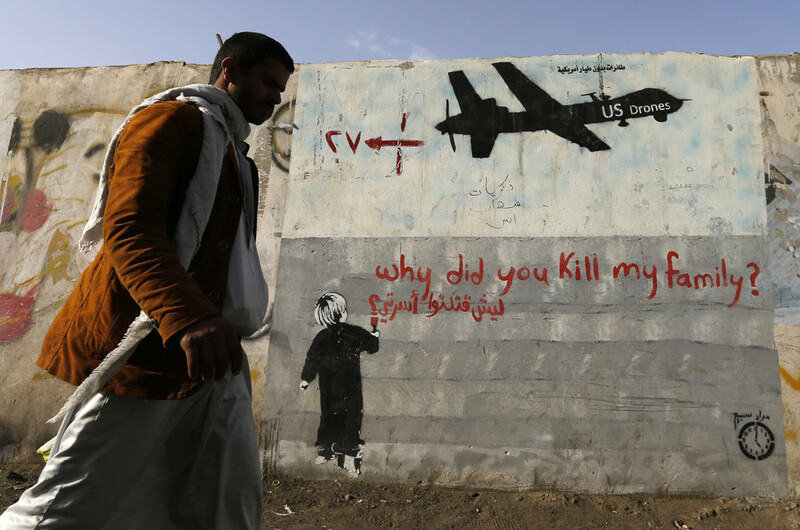 The ongoing war in Yemen killed has killed more than 10,000 people, according to conservative estimates, most of them civilians. UN Humanitarian Coordinator in Yemen, Jamie McGoldrick, said in his recent (Thursday) report that the coalition killed 68 people, including 8 children, and injured dozens in just two airstrikes conducted on one day. “These incidents prove the complete disregard for human life that all parties, including the Saudi-led Coalition, continue to show in this absurd war that has only resulted in the destruction of the country and the incommensurate suffering of its people, who are being punished as part of a futile military campaign by both sides,” McGoldrick wrote.